The Brenig Way starts in the beautiful Dee Valley and takes walkers into some of the quietest parts of Denbighshire, where peaceful paths snake though natural woodlands and along steep sided river valleys. It follows ancient drovers roads and passes even more ancient cairns, navigating its way through the Clocaenog Forest to reveal stunning views of the Clwydian range at Pincyn Llys and around Cyffylliog. 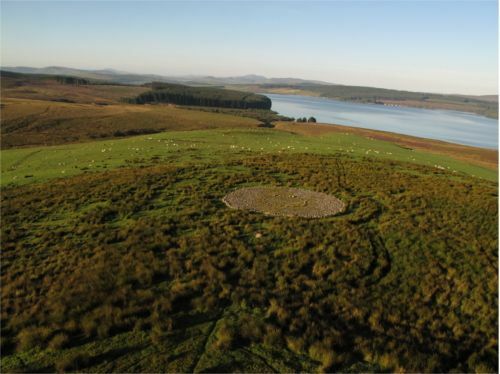 It culminates in a steady, but isolated, climb along the Afon Clywedog, passing just a handful of houses, to reach Llyn Brenig at the Archaeological Trail. This is the site of a Bronze Age burial ground, with several ritual cairns creating a sense of solitude against the stunning backdrop of Hiraethog and Snowdonia. A gentle walk around the lake is completed by walking across the Brenig dam to finish the walk at the Visitor Centre for a well-earned treat. The route has been marked with distinctive waymarkers based on the stone cairns found along the way. A series of five short day walks are also available - see website below for downloads.